This is the next in a series of blog posts that will cover the topics discussed in the ASP.NET Community Standup. The community standup is a short video-based discussion with some of the leaders of the ASP.NET development teams covering the accomplishments of the team on the new ASP.NET Core framework over the previous week. 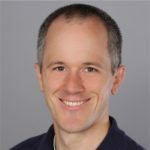 Join Scott Hanselman, Damian Edwards, Jon Galloway(Jon’s in Russia this week)and an occasional guest or two discuss new features and ask for feedback on important decisions being made by the ASP.NET development teams. Quick Note: Jon’s in Russia this week so, we don’t have any community links this week. This week Damian and Scott jumped right into question. Damian had a question on Hanselman’s post “Publishing ASP.NET Core 1.1 applications to Azure using git deploy“. Damian went on to explain the difference between a new application created using the dotnet cli and one created in Visual Studio. When a .NET Core project is created using the dotnet new templates, it does not come with solution level files like global.json. Today global.json is how you set the version of the .NET Core SDK needed for your application. Remember that unless you specify the version SDK, .NET Core will use the latest one on your machine and your app will not work. If you find yourself in a similar scenario to the one mentioned this how you fix it. Find out what version of SDK you have locally. Add global.json to your project and include the appropriate version of the SDK. Check out Hanselman’s post “Publishing ASP.NET Core 1.1 applications to Azure using git deploy” for more information on the above. Question: What are we doing to simplify the Docker versioning numbers? — Now, that we have release 1.0 and 1.1 we can make a fair assessment of how well the versioning strategy is working. Based on those experiences we are going to make some adjustments. Question: Why isn’t ASP.NET Core 1.1 backward compatible? I have a lot of 1.0 libraries. See you at our next community standup!